Aaron Ramsey has signed a pre-contract agreement to join Juventus from Arsenal in the summer, according to Sky in Italy. The midfielder completed his Juventus medical over the weekend, and Sky Sports News understands the move will be made official in February. Ramsey has been free to negotiate a pre-contract agreement this month with clubs outside England permitted to sign Premier League players in the final six months of their contracts. Paris Saint-Germain and Bayern Munich have also been linked with the 28-year-old but Juventus have remained his first choice, according to Sky sources. 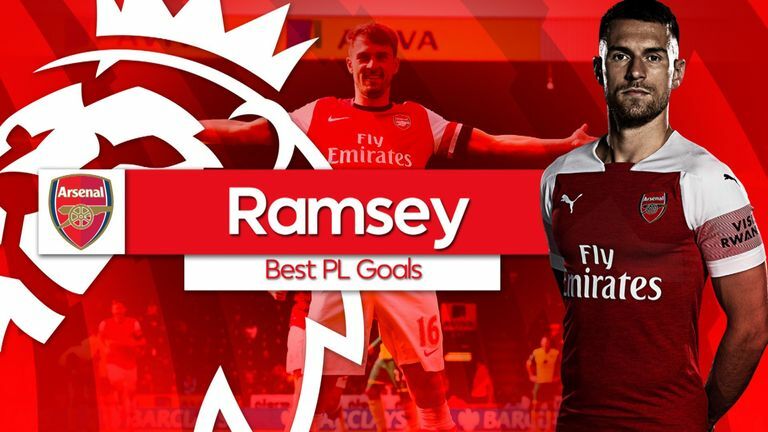 Ramsey joined Arsenal from Cardiff in 2008 and has scored 53 goals in his 253 Premier League games. He has made 31 appearances for Arsenal in all competitions this season scoring four goals. A three-time FA Cup winner with the Gunners, Ramsey scored the winning goals in the finals against Hull (2014) and Chelsea (2017). He is now poised to join Cristiano Ronaldo at one of Europe's most powerful clubs. Juventus are nine points clear at the top of Serie A as they chase an eighth successive title.